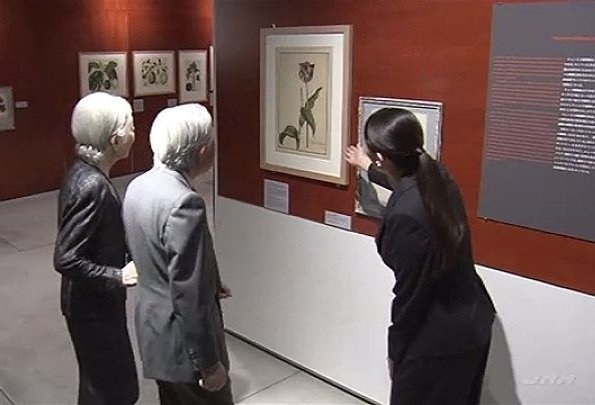 On December 2, 2017, Emperor Akihito and Empress Michiko visited Intermediatheque Museum located in Tokyo Chiyoda Ward. 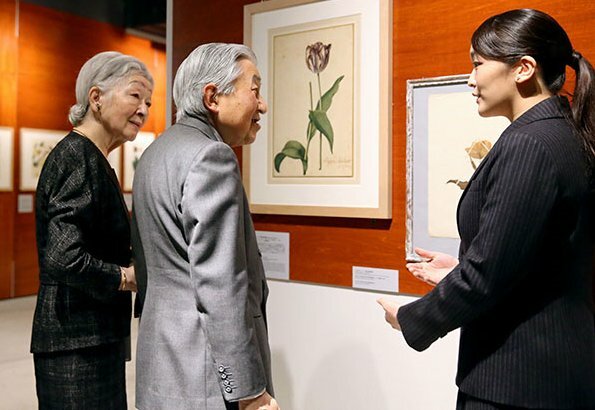 Under the guidance of their granddaughter Princess Mako who is a curator at the museum, the Imperial couple visited an exhibition called "The Golden Age of Botanical Art--Flowers from the Collections of the Royal Botanic Gardens, Kew.". 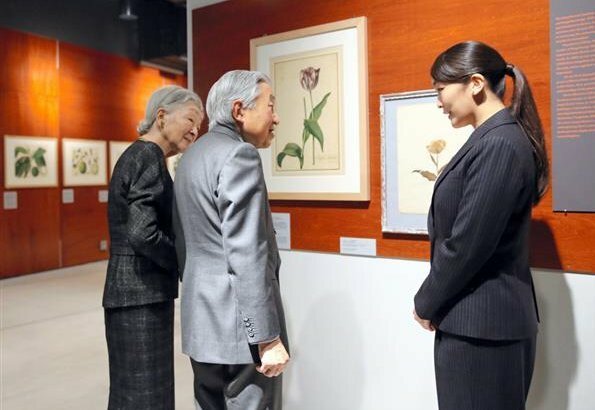 Princess Mako, the eldest daughter of Prince Fumihito is a researcher at Tokyo University which is the operator of Intermediatheque Museum. 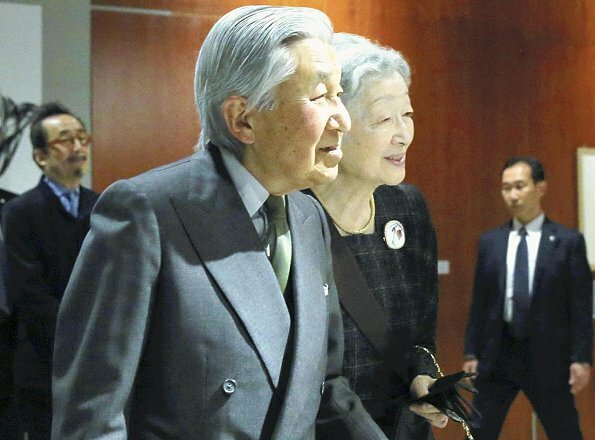 They look so incredibly sweet those two! So nice that Mako has a real job, and such an interesting one.